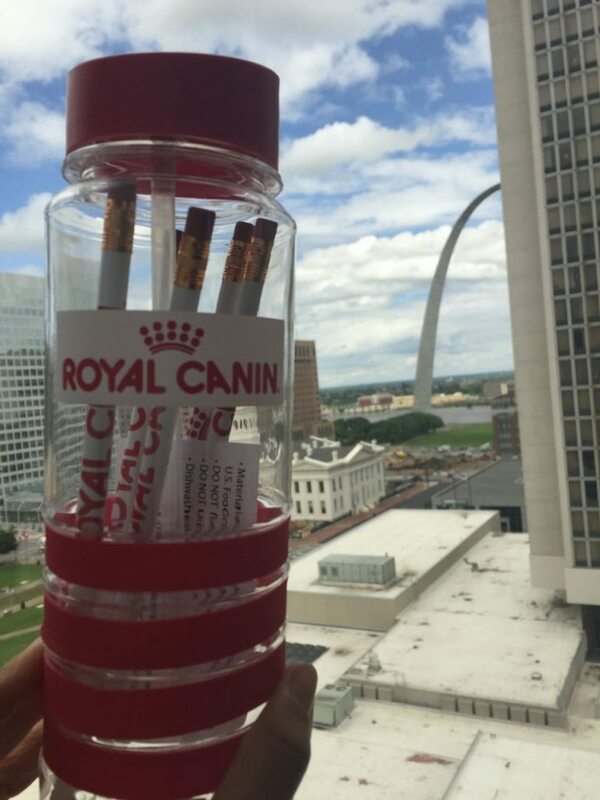 With a partnership with Royal Canin, I recently visited their USA headquarters to learn more about their pet food. I’m already feeding Chloe their Golden Retriever formula, but didn’t know too much about the importance of feeding a breed specific dog food. 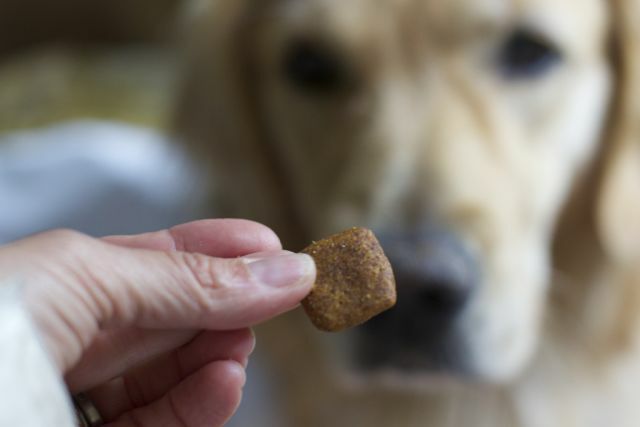 While marketing trends drive many other pet food brands, Royal Canin is unique in that a dog’s and cat’s nutritional needs come before what the market thinks it needs. Much money and time is spent in their research facilities in both America and France (where they originated) determining the best formulas for all dog and cat breeds. With over 200 different formulas on the market and 150 of them available at retail locations, how does one decide? Well, this comes easy if you have a pure breed dog who’s in good health like Chloe. They have many breed-specific formulas to choose from! Each formula is made with each of these breed’s needs and historical health problems in mind. For example, Golden Retrievers are notorious for hot spots. 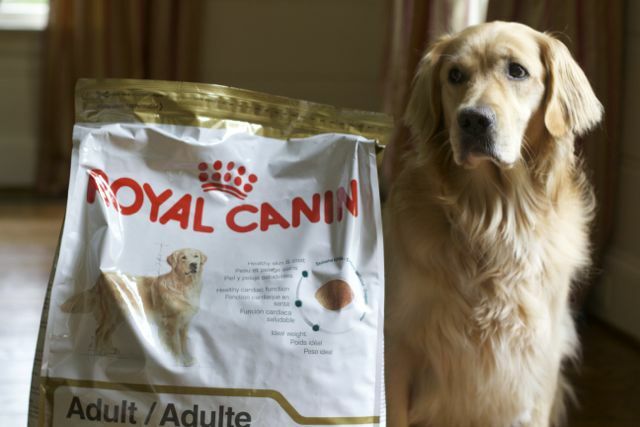 Royal Canin includes nutrients to prevent these in their Golden Retriever diet. They are also known for hip issues, and by providing glucosamine in their formula, these are hopefully reduced. No need to provide supplements as this is a one stop shop for your dog. Before we switched to the Royal Canin Golden Retriever formula, Chloe had very runny poops. Once we transitioned her to her new diet I noticed she was having better formed stools. However, if she gets into something outside her “diet” it’s a different story. Our golden always get compliments on her coat, which I attribute to Royal Canin as well. As long as Chloe stays healthy, this will be the formula she will stay on for life. Of course, always talk to your vet about specific health needs. Can you give your dog people food? I buy my Royal Canin food on Amazon for the price savings, but you can find most of the breed specific formulas at the big pet food stores. Have you considered giving your Dog A breed specific dog food Formula? When we adopted our dog, he ate a specific brand. We still feed him that to this day. I’m so glad that your pups change in diet helped him feel better and have a nicer coat. My dog is a mutt. Do they have a mutt specific bag? haha. I don’t have a dog but would probably get something like this for my cats. If there is a formula for hairball removal, I’m in! Royal Canin is a great brand and we used them when my cats were weaning off the bottle. I never heard of food for specific breeds but I will take a look next time I shop for dog food. Although I do not have a dog, I have lots of friends that do. I will have to let them know about Royal Canin. I had no idea that there were breed specific formulas! I will have to look into this for my lab! Thanks! We haven’t yet settled on a dog food brand, so I will check this out for my pup. Buying straight from amazon an not hefting the bag at the store sounds great!